November 2, 2018 by Warren Woodberry, Jr. Awarding Exceptional Professionals Who Display Outstanding Leadership, Exemplify Vision, Passion and Integrity in their Industry. 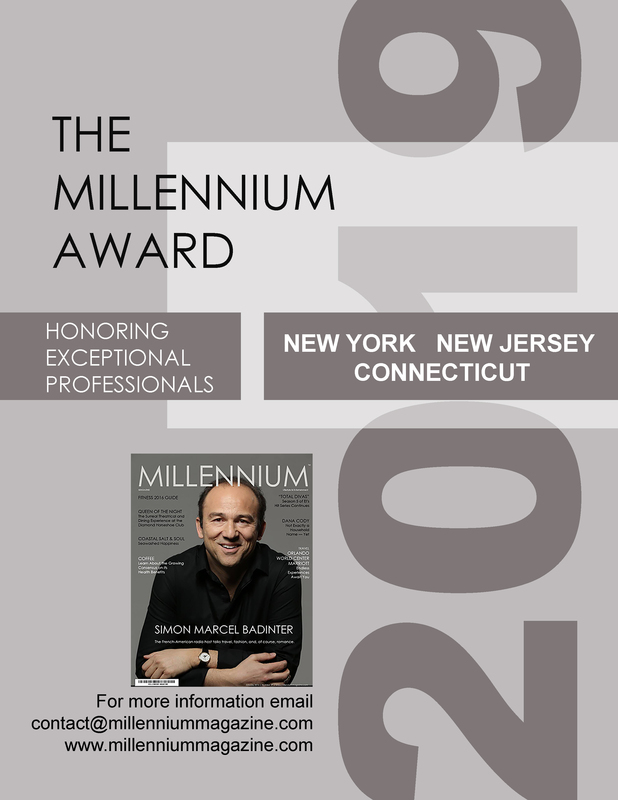 Millennium Magazine seeks nominees to present its Millennium Award. The Award salutes remarkable experts who through strength and innovation have a positive impact on their companies and community. Ideal candidates have a mark of success, are able to inspire others, maximize their potential, establish vision, set direction and provide guidance to reach goals. They are deeply committed to and are involved in their industry, motivate industry peers, demonstrate tireless efforts to address and raise awareness on social issues and have earned the respect and gratitude of their colleagues. Nominees will be reviewed and selected by Millennium Magazine team members. Awardees may be announced and presented with the Award at a stellar event attended by influentials, in Millennium Magazine, on the web site and our social media. For more information email contact@millenniummagazine.com or call 212-709-8137.